Last week it was BMWNA announcing record sales. This week BMW Group global is doing this same. 2011 was the best year on record for BMW Group and the three automotive brands, BMW, MINI and Rolls Royce. Hard to argue with that. Official Release: The BMW Group concluded 2011 with its best sales result ever. Worldwide sales of BMW, MINI and Rolls-Royce automobiles rose 14.2% last year to reach a total of 1,668,982 vehicles (prev. yr. 1,461,166). The company therefore strengthened its position as the leading provider of premium vehicles. In December, sales were 11.9% higher than in the same month last year with 158,125 vehicles (prev. yr. 141,358). BMW brand: New models drive sales. BMW 5 Series clear segment leader. BMW brand sales rose 12.8% in 2011 to reach a total of 1,380,384 vehicles, the best sales level in its history (prev. yr. 1,224,280). In December, a total of 128,182 vehicles were delivered – an increase of 10.9% (prev. yr. 115,570). The clear frontrunner in terms of growth was the new BMW X3. With 117,944 vehicles sold, this highly-successful model grew at a rate of 156.4% (prev. yr. 46,004) in 2011. The BMW X1 also continued to report strong gains in 2011 with a total of 126,429 vehicles sold (+26.4%; prev. yr. 99,990). The BMW 5 Series solidified its position as segment leader, with a total of 310,050 vehicles delivered to customers in 2011 (+46.3%; prev. yr. 211,968). The flagship BMW 7 Series also continued to perform well, with deliveries reaching 68,774 vehicles last year (+4.5%; prev. yr. 65,814). Customer response to the newly introduced BMW 1 Series has also been very positive. Sales of the 5-door rose 42.6% in December to 12,507 units (prev. yr. 8,769). The MINI brand can also look back on its best year ever. Global sales climbed to a record 285,060 vehicles in 2011 (+21.7%; prev. yr. 234,175). It finished on a strong note in December with 29,467 vehicles sold (+16.2%; prev. yr. 25,359). The brand’s positive annual result was bolstered by the MINI Countryman, which totalled 89.036 deliveries in its first full year of sales. Further momentum is expected in 2012 with the new additions to the MINI family: the MINI Coupé and the MINI Roadster. The U.S. remains the largest market for MINI, with 57,511 cars sold last year, followed by the U.K. with 50,428). With a total of 3,538 cars, Rolls-Royce Motor Cars achieved its highest sales ever in 2011 and an increase of 30.5% on the 2010 total of 2711 cars. The previous record of 3,347 cars was set in 1978. All regions reported significant sales growth last year with bespoke content at highest-ever levels. 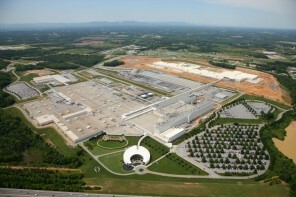 The BMW Group made sales gains in all regions and virtually all markets in 2011. In Europe, the region with the Group’s highest sales, retail volumes increased 8.5% to reach a total of 857,792 units (prev. yr. 790,751). The company experienced rigorous growth in Asia, with 373,613 vehicles sold (+31.1%; prev. yr. 285,003). In America, a total of 379,332 vehicles were delivered to customers last year, an increase of 15.3% (prev. yr. 328,860). The U.S. was the company’s largest single market in 2011, with a total of 305,418 vehicles sold (+14.9% / prev. yr. 265,757). BMW was the number one premium brand in the U.S. last year, with 247,907 cars delivered to customers. 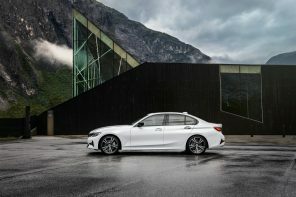 In Germany, the company finished the year on a strong note – the number of new BMW Group vehicles registered in December rose by 16% to 27,377 (prev. yr. 23,601). With a total of 297,483 new vehicles registered in 2011 – (+11.5% / prev. yr. 266,768) – the company spearheads the German premium auto segment. BMW brand registrations climbed to 257,132 units in 2011 (+9.3%/prev. yr. 235,299). A total of 23,507 new BMW vehicles were registered in December (+12.4%/prev. yr. 20,910). The MINI brand also reported an excellent month with an increase of 43.8% to 3,870 vehicles (prev. yr. 2,691). China’s dynamic sales growth continued right through to the end of 2011 – 232,586 BMW Group vehicles were sold last year in the company’s third largest market. This was an increase of 37.6% (prev. yr. 168,998). With a total of 104,286 motorcycles (prev. yr. 98,047 / +6.4%) in 2011, BMW Motorrad delivered more vehicles than ever before in its nearly 90-year history. Growth was recorded in each month of 2011. In December, 4,232 Motorcycles were delivered worldwide, which reflects an increase of 12.4% over the same month in 2010. The total year’s result exceeds the previous high in 2007 by 1.8% (102,467). BMW Motorrad increased its market share by more than 12% in the segment above 500cc and has doubled it within the past four years. Husqvarna delivered 9,286 motorcycles in 2011 (-23%; prev. yr. 12,066). December accounted for 1,330 deliveries (-26.1%; 1,800).